One of the most sophisticated and design-forward residences on all of Oahu, this dynamic 311-unit tower sets a new tone for the evolving architecture of Honolulu and represents an iconic addition to the city’s skyline. Designed by Chicago-based rm Solomon Cordwell Buenz in collaboration with Ben Woo Architects, Anaha’s rolling, brilliant glass façade evokes the light reflecting off the waves of the nearby Paci c Ocean. 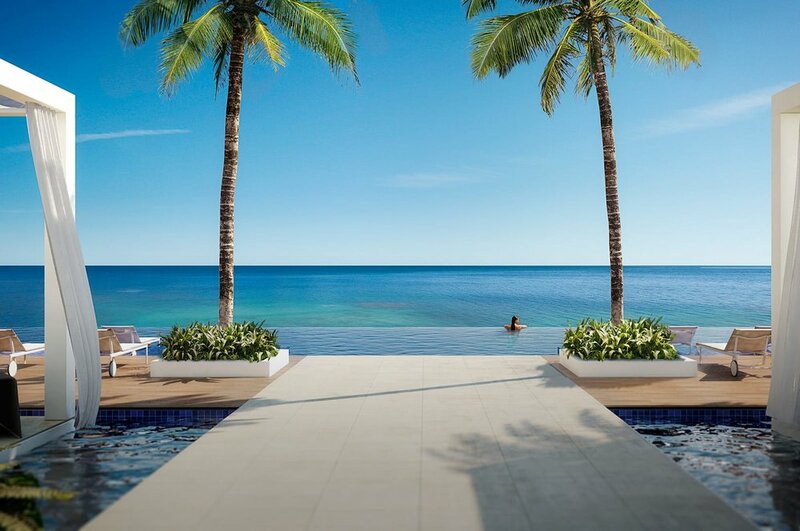 Located at the Diamond Head edge of Ward Village, Anaha offers a diverse range of sophisticated residences where the serene privacy of home is enhanced by all the amenities one might expect at a luxury resort. The building’s height and strategic orientation provide residents impressive views from every level. Wraparound views span from the beachfront to Diamond Head and from Kewalo Harbor to the sunset in the west. Townhomes and flats on the lower floors look out over lush landscaping at the horizon. At night, residents can gaze from their windows and terraces at the glittering lights of downtown Honolulu.